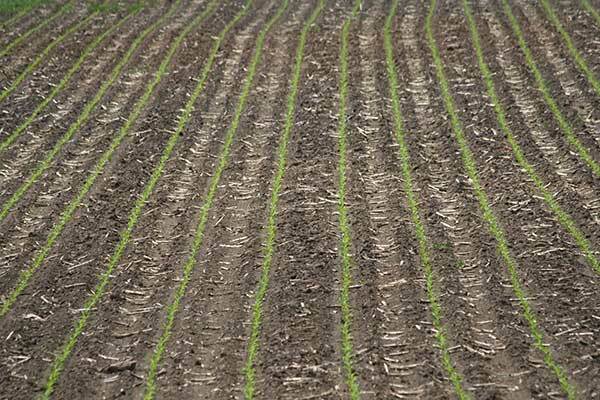 With lower milk and beef prices coupled with increasing corn seed prices, there is good reason to contemplate the optimum planting rate for silage corn. Recently, researchers in both Virginia and Wisconsin weighed in on the topic. Gonzalo Ferreira, extension dairy scientist at Virginia Tech, reported on the second year of planting rate study in the Dairy Pipeline newsletter. In 2015, silage corn was planted in four southern Virginia plots at rates of 22,000 to 40,000 seeds per acre with 6,000 seeds per-acre intervals. 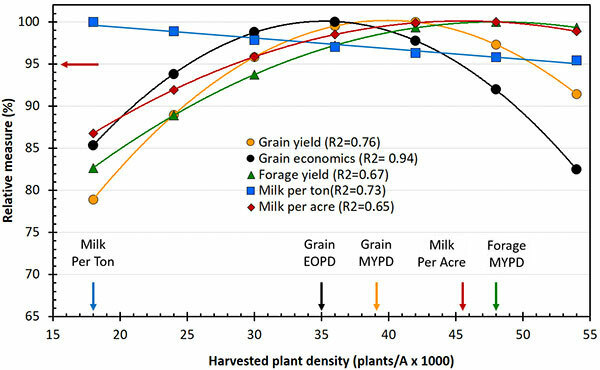 They found a linear yield bump of nearly 2 tons of dry matter per acre (about 6 wet tons) from the lowest to the highest planting rate (see Figure 1). The 2015 results were in contrast to the previous year, which documented no yield advantage to raising plant densities. Ferreira notes that the 2015 corn experienced more frequent rains than 2014. In both years, higher planting rates did not have a significant effect on overall forage quality. Concentrations of ash, crude protein, neutral detergent fiber, sugars, and starch were similar regardless of planting rate. In Wisconsin, Joe Lauer measured yield and forage quality responses to varying plant densities from 2005 to 2014. The extension corn agronomist recently discussed the results on his blog website, Corn Agronomy. Stand densities ranged from 18,000 to 54,000 plants per acre at harvest. Over 10 years, the maximum silage yield occurred at 48,000 plants per acre at harvest (see Figure 2). This was 9,000 plants per acre greater than the maximum grain only yield. Neither of these maximum yield plant densities takes into account seed costs, and in the case of silage, forage quality. 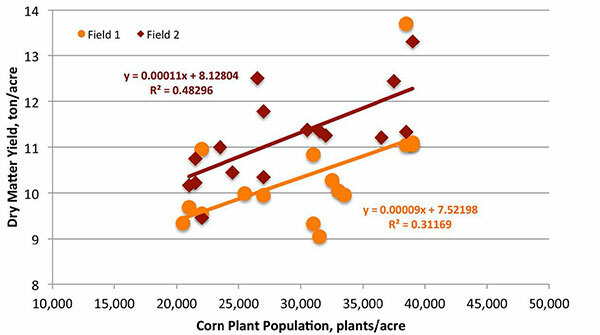 Figure 2: Relative corn performance at various harvest plant densities (Wisconsin, 2005 to 2014). Lauer considered forage quality by using the Milk per Acre metric; a measure that takes into account both yield and quality. He found that the optimum harvested plant density to maximize Milk per Acre was about 45,000 plants per acre. To take into account seed costs, Lauer suggests subtracting another 4,000 to 5,000 plants to get an economic optimum plant density. He is also quick to point out that in years when margins are tight, the economic optimum may not be the best goal given that the response curve is so “broad shouldered.” Any final density above 29,000 plants per acre is within 95 percent of maximum Milk per Acre. Finally, Lauer notes that every hybrid and every field likely has its own maximum yield and economic optimum values. He also points out that breeders are improving plant standability with each passing year. As a result, optimum plant densities continue to rise.